A certificate is a non-degree program that usually lasts less than 2 years and provides you with the requisite training for an entry-level job as an ultrasound technician. Because most people who pursue this route already have medical training and knowledge, they do not require the same intense study of an ultrasound technology associates degree program. Successful completion of an ultrasound tech certificate program, along with your first degree, will be enough to prove to a potential employer that you are worth hiring. Because you will already have a medical background, you can expect to complete an ultrasound technician certificate program in about 1 year. Some programs might last 14 months. You will also need to factor in time to sit for your board exams, which will vary depending on the schedule in your state. If you require further certification from the American Registry for Diagnostic Medical Sonography (ARDMS) or the appropriate professional organization for your specialty, that will demand extra time as well. There are 98 schools in the U.S. offering either a diploma or certificate, or both, which are accredited by the Commission on Accreditation of Allied Health Education Programs (CAAHEP). It is critical that you select an accredited ultrasound technician certificate program if you want to be considered for the best jobs. 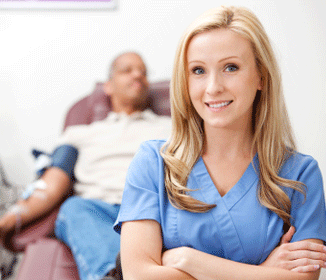 There are only 2 online ultrasound tech certificate programs that have received accreditation. While this number might be expected to grow, online coursework is really only useful for didactic work. You will be better served looking for a campus-based program that accommodates your schedule needs. Costs of ultrasound technician certificate programs can vary widely, from a few thousand dollars (especially if you are a resident of the state) to $15,000 per year. You will also need to factor in the cost of the application fees to take your exams. However, once you have achieved your certification, you will be able to command a much higher salary, so do not be deterred from an excellent program because of cost concerns. Most ultrasound technician certificate programs will have the same curriculum, combining study in sonography and ultrasound equipment physics with clinical lab work. As most people in this program will already have medical training, basics such as patient care may not be one of the requirements. You can expect to study abdominal, OB/GYN and vascular sonography and practice them in the clinic. You will master precision, accuracy and the ability to read images for abnormalities. A certificate in ultrasound tech will allow you to start practicing sonography at a hospital or other healthcare facility. You may only be eligible to work in 1 or 2 areas at first, depending on the program, but you will have the foundation you need to learn on the job and gain further certifications. The more experience you have, the higher a salary you can command. Certificates in ultrasound tech are generally only earned by those cross-training into ultrasound from another medical field. You can obtain a certificate in about 1 year and begin working in basic sonography departments. You will have the foundation to train on the job in more advanced techniques. If you are interested in pursuing further education in the field, associates degree and ultrasound tech bachelors degree programs are available as well. A masters degree is the first graduate degree you can earn once you have earned a bachelors degree. It is only conferred by universities. An ultrasound technician masters degree will give you the grounding to work in highly specialized areas of sonography, along with the expectation that you will contribute submissions to medical journals and learn the intricacies of management and public health. In ultrasound technology, masters degree are very rare. A masters degree is useful for people working in the field who are interested in pursuing research, teaching or high levels of healthcare management or public policy. While the most common educational qualification for working as an ultrasound technician is a 2-year associates degree, you can also do a 1-year certificate program and cross-train into the field. Other students enroll in ultrasound tech bachelors degree programs, which, like the masters degree, can allow them to further pursue ultrasound technician career advancement by working in management or public policy. The coursework and clinical experience for an ultrasound technician masters degree will usually take 24 to 26 months to complete. However, you may also be expected to research and write a thesis or dissertation as part of your degree program, and how long this takes will depend on you. While you will likely already have a license and certification from the American Registry for Diagnostic Medical Sonography (ARDMS) or another professional sonography organization, you may need to take exams for further certification before you re-enter the field. As of 2012, there are only 2 U.S. schools accredited by the Commission on Accreditation of Allied Health Education Programs (CAAHEP) that offer ultrasound technician masters degrees. These are the School of Health Professions at the University of Missouri and the College of Health Care Science at Nova Southeastern University in Florida. Nova Southeastern offers the option to take some courses online, but you are also expected to be on campus as well. Tuition for an ultrasound tech masters degree program will cost about $20,000 per year, not including assorted fees and costs for materials, supplies, and room and board. Both Nova Southeastern and the University of Missouri have campus financial aid available, and you might also seek government financial aid. If you are applying for a masters degree, it is likely you already belong to one or more of the professional organizations for sonography, and these may be able to provide you with financial aid as well. 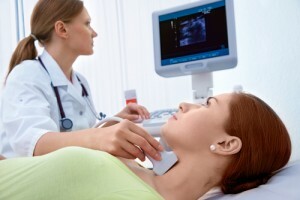 Ultrasound tech masters degree programs are comprised of upper level academic work in the more complex areas of sonography such as vascular and cardiovascular, clinical work and courses such as statistics, composition, communication and sociology. You will be expected to undertake independent research and write papers worthy of submission to medical journals. Successful holders of ultrasound tech masters degrees might go back into the field to work at the highest level, earning top salaries. You might manage your department and be involved in general hospital management as well. You can work as a consultant, take a government position in healthcare management or public policy, or focus on research and teaching. The few people who pursue a masters degree in ultrasound technology are interested in researching and writing about the field and contributing to the knowledge and growth of the profession. You will be in a position to enter the top levels of the profession, contribute regularly to medical journals and work for the government shaping healthcare policy. Increasingly, online education is becoming a viable option for students who have complicated schedules or work and family obligations. Doing an online program is also a useful way of participating in a class in a particular program that would otherwise be inaccessible to you. However, there are more disadvantages than advantages if you want to earn your ultrasound technology degree online. In an online program, you must work harder to stay motivated and on schedule, you do not get immediate feedback or interaction with teachers and classmates, and you may be obligated to do your own work to find a facility for your required clinical rotations. You should really only consider online coursework as a supplement to, rather than as a replacement for, a campus-based program. There are only 2 certificate programs accredited by the Commission on Accreditation of Allied Health Education Programs (CAAHEP) that allow you to earn an online ultrasound technology degree. Roughly 55 students total graduate from these programs every year. While they are accredited, these programs are still not considered to provide the same level of rigor as campus-based programs. The main advantage cited for attending an ultrasound technician online school is that it is less expensive. This is no small consideration, as the cost of a traditional 2-year program can be high, thanks to all the expensive books and equipment you will work with. For many students, the ability to save some money on the cost of attendance is what allows them to pursue a degree at all. As it takes a lot of time and effort to become an ultrasound tech, online schools also offer the advantage of allowing you some flexibility for fulfilling the lecture component. Students pursuing a certificate will be cross-training from another field of medicine and may be working close to full time, so being able to do didactic work at night or on weekends can be what allows them to earn their qualification. You can only attend accredited online ultrasound technician schools. Look for a program that offers the same didactic curriculum as a campus-based program. Ideally, your program will have a relationship with a clinical program so that you will not have to arrange your own rotations. You also want to be sure there are online discussion forums with the professor and that you are able to arrange discussion sessions and study groups with your fellow students. While you will probably do extra research online, ultrasound technician school is such an intensive program that you will get the most out of it if you opt for campus-based courses. As you will likely already be in the medical field and cross-training into ultrasound, you may feel the didactic courses will be complementary to those you took in your initial training, but the precision demanded by sonography requires complete focus. As you are probably still working, you will find motivation easier if you go to a physical classroom. The nature of the program requires you to spend long hours in clinical rotations. Even accredited online ultrasound technician schools, which are the only ones you should consider attending, will not necessarily assist you with setting up your on-site training. They will also not guarantee that any healthcare facility appropriate for training will be within easy access. You will also not get the opportunity to engage in classroom discussion online. Ultrasound technician school can be very exciting for medical professionals who are exploring the body in a new way. The give and take of in-class discussion is part of the learning experience. An online discussion forum, though handy, will not replicate that energy. The Commission on Accreditation of Allied Health Education Programs (CAAHEP) only cites 2 accredited online ultrasound technician schools that offer associates degrees. As this is the most common educational qualification to secure entry into the field, there are plenty of campus-based programs from which to choose, so you do not need to opt for a distance-learning program that might not even guarantee you will be qualified to sit the licensing or certification exams. The main advantage offered by ultrasound tech schools online is some cost savings. You will still need to purchase books and other supplies, as well as whatever costs are necessary for your clinical work, but you will save money on didactic coursework. You will also be able to organize your class schedule to suit your other needs. If you are working or have other responsibilities that preclude attending lectures during the day, you can attend class online at night or on the weekends instead. While you can study ultrasound technology online, schools may indicate that the course will not necessarily guarantee you are prepared to take your licensing and certification exams. If you are not prepared to take these exams, you will not be able to work as an ultrasound technician, thus defeating the purpose of pursuing a degree program in the first place. The online programs also may not be able to arrange clinical rotations for you. These rotations are the most crucial part of your education and you will get a better education if your campus-based accredited program has a relationship with a medical facility and guarantees you an automatic rotation placement when you begin schooling. You will also not be able to ask immediate questions and create a dialogue between yourself, your professor and your classmates with online schooling. This can be some of the most fun you have in your program. While you will usually have an online discussion forum, it will not have the same energy as you get with personal interaction. The Commission on Accreditation of Allied Health Education Programs (CAAHEP) accredits only one program in the U.S. that offers an online bachelors degree in ultrasound technology. The degree is not very common, as only 27 schools offer it in the traditional format. If you are going to commit to obtaining a higher qualification in the subject, it is better to do so on campus. Since there are so few opportunities to earn this degree, it might make more sense to use an online option for some of your theoretical courses, rather than having to move to another state in order to attend school. It will also be considerably less expensive than the tuition costs of the campus-based programs. With the degree being so rare and intended for those who are going into management, research or publication, it is helpful to get the best degree possible. The specialized nature of the clinical and academic work necessary to earn a strong degree will demand the attention and commitment of a full-time, campus-based program. While this will be more expensive, it will ultimately pay off with an excellent credential. The Commission on Accreditation of Allied Health Education Programs (CAAHEP) does not currently accredit any online program offering a masters degree in ultrasound technology. You should only pursue accredited degrees because it means that the education meets the standards set my leaders within the professional field. Ultrasound technician careers are becoming increasingly popular because they pay well and are relatively easy with which to get started. All you need to do is take some ultrasound technician classes and you can be well on your way to getting started quickly. This career involves helping doctors by applying the ultrasound to certain patients. When you go to school to pursue this career, you will begin by learning how to use the ultrasound machine, while having some knowledge on the diagnostic process as a whole. If you want to get started as quickly as possible, you can take ultrasound technician classes that lead to a certificate program. This is the fastest way to get started in this industry, as you will learn the fundamentals involved with ultrasound. Most of these certificate programs last about one year and it is possible to take many of the courses online. You might need additional schooling to get some of the higher paying jobs in this industry, but it is a good way to get your foot in the door. Once you have some experience, you can go back to school and get yourself a higher paying job very quickly. An Associate’s degree is one of the more common methods that individuals use to get started in this industry, as the ultrasound technician classes are a little more thorough. This degree will generally take you about two years, so you can get started with your job relatively quickly. Many of the theory courses can be taken online, as you will learn everything that you need to know through this method of teaching. Keep in mind that some of the more practical applications of this knowledge must be learned in person, so you will have to make these arrangements once you get started with these ultrasound technician classes. The Bachelor’s degree programs are much more advanced and will take you four years to complete. The majority of people do not need some of the ultrasound technician courses that are included with a Bachelor’s degree because they involve other types of medical imagining. If you want to focus solely on ultrasound, many of these courses are completely unnecessary. Keep in mind that, once again, many of these ultrasound courses can be taken online, which makes it much easier for you to get through your degree. Those who go through with a Bachelor’s degree will often branch out into other areas of medicine later on, so it creates more options for you going forward. Those who want to learn at a faster pace should take their ultrasound technician classes in a teaching hospital. These hospitals will provide a great deal of hands-on experience, so it is a great way to learn how to operate this equipment. Although many other classes will teach you how to use this, learning in a hospital environment can be very rewarding, since it will teach you exactly what you will be in for once you get started. As was mentioned before, many of these courses for ultrasound technicians have online versions, but you must be careful when selecting these options. This is because you can only learn the theory portions of this education online, since ultrasound is such a hands-on career choice. The training that you will receive online is good, since it will teach you how to handle the equipment, but it is vital that you actually use the equipment before starting a career. Some online schools will help you to find a practicum once you have completed the coursework, as this allows you to experience the practical side of this career. Therefore, you should only use online ultrasound techn classes as a base, rather than as your entire educational background when entering this career. Since there are so many different educational options available, you will have some choices to make before starting your career. These classes are very rewarding and once you get started as an ultrasound technician, you will spend your days helping people. 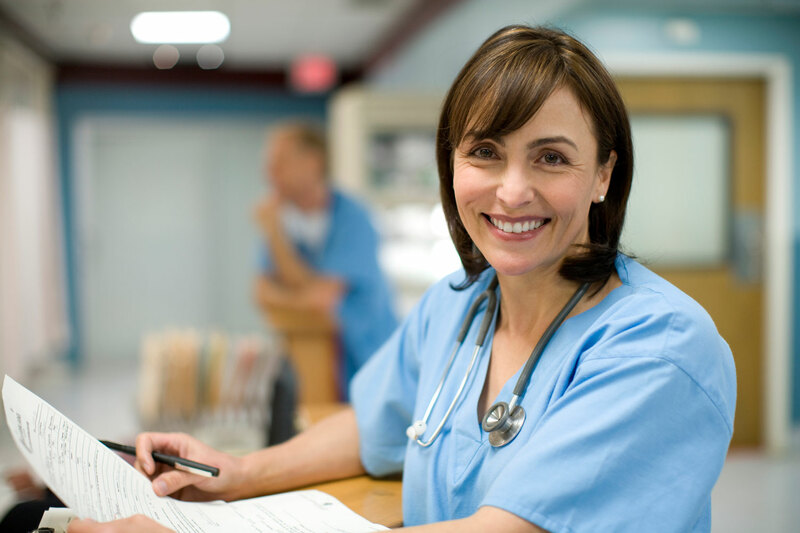 There are countless jobs available once you finish your training, so make sure that you receive the training that hospitals in your area desire. Every hospital needs ultrasound techs, so you will never run out of potential employers once you begin.